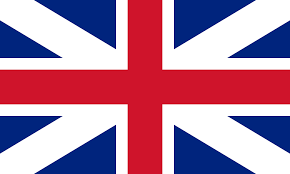 Britain was the world's first industrialised country. Its economy remains one of the largest, but it has for many years been based on service industries rather than on manufacturing. The UK is ethnically diverse, partly as a legacy of empire. Lately, the country has been struggling with issues revolving around multiculturalism, immigration and national identity. The UK has been at the forefront of youth culture since the heyday of the Beatles and Rolling Stones in the 1960s. It has a rich literary heritage encompassing the works of English writers such as William Shakespeare and Charles Dickens, Scot Robert Burns, Welshman Dylan Thomas and Northern Irishman Seamus Heaney. . Traditional music has deep roots across the UK, which has also produced classical composers from Henry Purcell in the Baroque period to Benjamin Britten in the 20th century. (Info from BBC).